Vegan chocolate chip coffee cookies anyone?? I think chocolate and coffee might just be one of the best pairings ever, don’t you? 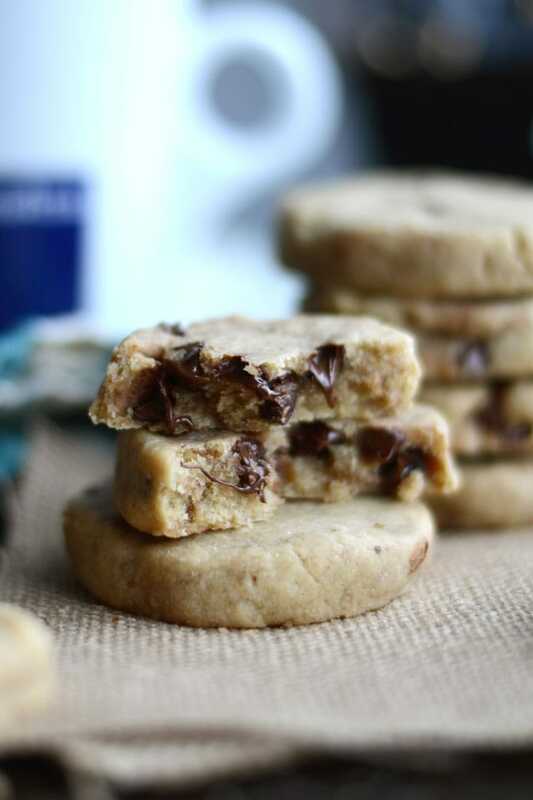 These vegan chocolate chip cookies are infused with strong brewed coffee and are easy to make with just a handful of other everyday baking ingredients. 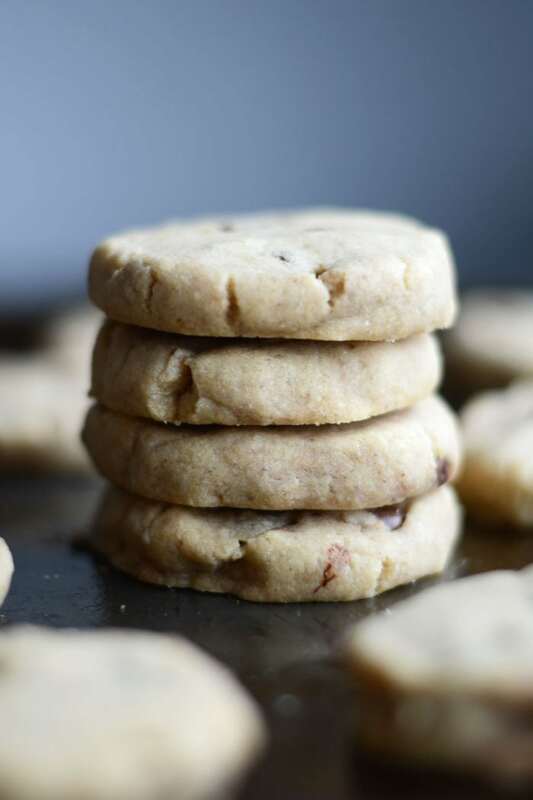 These cookies are infused with a subtle coffee-flavour thanks to the brewed coffee that gets added right into the cookie dough. And obviously coffee and chocolate are a most perfect pairing, so chocolate chips just had to go in! A chopped dark chocolate bar would also work beautifully. Since these babies are caffeinated, you’ll get a nice, little coffee pick-me-up along with your dessert. I’d recommend keeping these ones away from the kiddos though unless you want a couple of hopped-up monkeys running around. Add the coconut oil and sugar to a mixing bowl and beat with a fork for a few minutes. Add the coffee, vanilla and flax and continue beating for another minute or so. Add the flour, baking soda and sea salt and stir to combine. Roll into 12 balls and place on a lightly-greased baking sheet, pressing each ball down with the palm of your hand. These delicious Vegan Chocolate Chip Coffee Cookies were easy to make , get in the oven, cool down and disappear. I would highly recommend that it is a must to double up the batch! This recipe looks great! How much chocolate chips should I add? YUM! These cookies look so soft and sweet! Two of my favorite things in this world, coffee and cookies. Perfect mix to bring that joy to your senses when you take a bite. Love the recipe. Sorry, my mistake. I added the measurement and oven temp to the recipe above! 1/2 cup + 350. Hi Deryn. 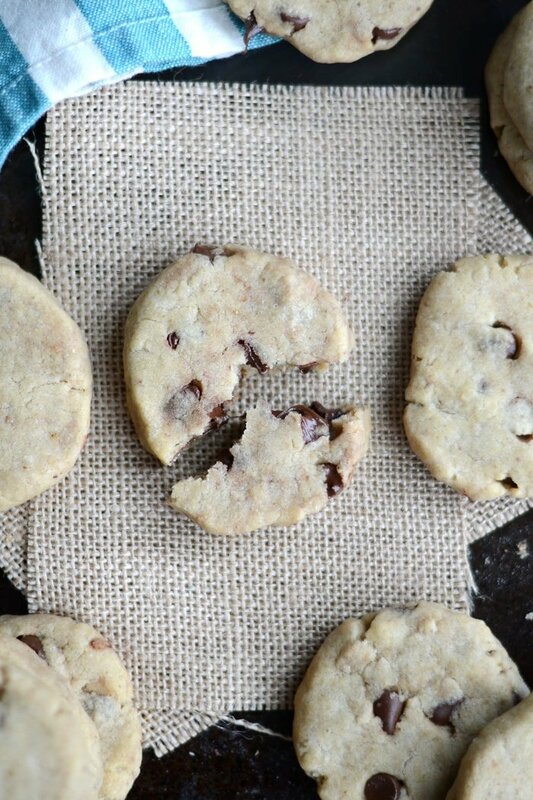 These cookies look like a perfect recipe to try for a weekend and offer them to my girls and husband. I’m sure they’ll love the smell of chocolate in the morning. Thanks for sharing and we’ll try to share the results here as well. Wow, chocolate chip and coffee together 🙂 Sounds very naughty. I like it! These look awesome! Do you need to use that specific coffee brand? Nope! Any coffee will do. Thanks! Any chance the coconut oil could be substituted with part apple sauce? I think that would probably be okay but I haven’t tested it so I can’t guarantee it will work! Let me know. You could but you might want to water it down a little to reach the right amount, and they’d have a stronger coffee flavour.